Based on the novel Deadly, Unna? by Phillip Gwynne, Australian Rules tells the story of 16-year-old Gary Black - average football player, budding wordsmith and reluctant hero. Gary is the toast of his remote South Australian fishing town when he inadvertently helps his local football team win the Grand Final. But, celebrations turn to violence when Gary’s Aboriginal best friend, Dumby Red, is denied the ‘Best and Fairest’ medal because of the racism of local officials. In a night when the town’s long-simmering racial tensions boil over, Dumby Red is shot and killed. Gary, making a courageous personal stand, must confront the insidious racism of the town and his own father. 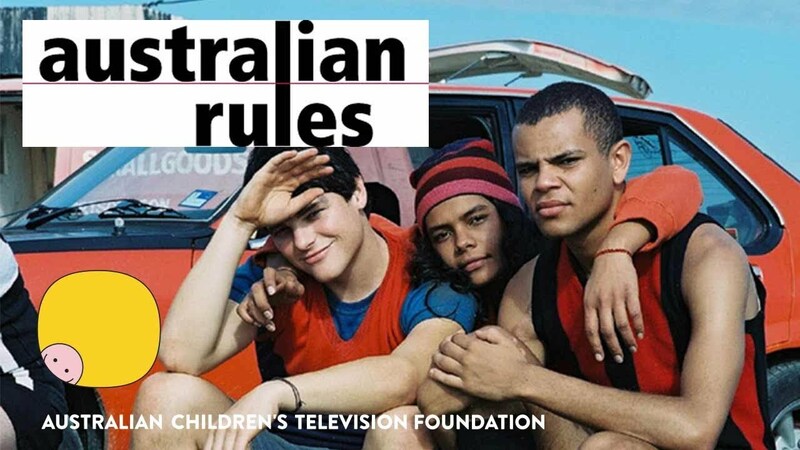 Australian Rules, directed by Paul Goodman, offers a rich examination of identity and ‘manhood’ in Australia, and a powerful study of race relations. The film promotes understanding of Aboriginal and Torres Strait Islander people, as well as the issues and concerns we all share. In writing his novel, Gwyne used real nicknames and drew on an incident in 1977, in which a white publican killed two Point Pearce youths. Because of this, the book and the film have generated much controversy, which is explored in the article by Peter Ellingsen. (A copy of this article is available in the Australian Rules Study Kit). The film is also controversial for its depiction of Indigenous characters, violent scenes and domestic violence. Yet, young people find the film engaging and thought provoking, and are very willing to talk critically about the issues. Students are moved by the power of the story, and see the film as a very strong statement encouraging the message of reconciliation. Based on the novel Deadly, Unna?, by Phillip Gwynne, Australian Rules tells the story of 16-year-old Gary Black -- average football player, budding wordsmith and reluctant hero. Gary is the toast of his remote South Australian fishing town when he inadvertently helps his local football team win the Grand Final. But celebrations turn to violence when Gary's Aboriginal best friend, Dumby Red, is denied the 'Best and Fairest' medal because of the racism of local officials. In a night when the town's long-simmering racial tensions boil over, Dumby Red is shot and killed and Gary, making a courageous personal stand, must confront the insidious racism of the town and his own father.